While in Seattle, Adams won a number of awards for his staunch advocacy for racial justice. 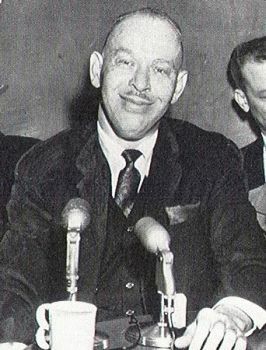 The Seattle Chapter of B’nai B’rith named him Man of the Year in 1964 and the following year, the Seattle Urban League bestowed the same honor upon him. In 1968, Reverend Adams was moved by his Bishop to serve as pastor of Grant AME Church in the Watts neighborhood of Los Angeles, California. After four years as a pastor in Los Angeles, he was made Bishop of the AME Church in Texas in 1972. He served as Bishop in a number of districts including his home district of South Carolina before his retirement in 2004 at the age of 77. While in South Carolina, Adams led the successful effort to remove the Confederate flag from the South Carolina State House. Dr. Adams was also Chairman of the Board of Trustees of the Interdenominational Theological Center (ITC) in Atlanta. He has served on the Board of trustees of Allen University in Pennsylvania, Edward Waters College in Florida, and Morris Brown College. He is the founder of the Congress of National Black Churches, Inc., in 1978. John Hurst Adams and his wife, Dr. Dolly Deselle Adams, a New Orleans, Louisiana native, have three adult children and eight grandchildren. They currently live in Atlanta, Georgia. Quintard Taylor, The Forging of a Black Community: Seattle's Central District from 1870 to the Civil Rights Era (Seattle: University of Washington Press, 1994); http://depts.washington.edu/civilr/adams.htm.